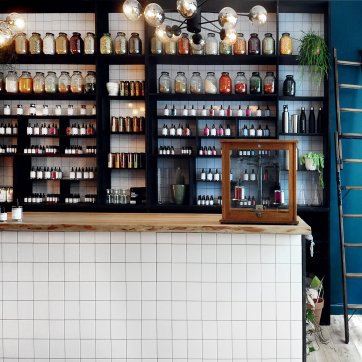 anatome is a a premium health store retailing our collection of branded skincare, therapeutic oils, vitamins and food supplements that combine science and natural ingredients, with a modern stylish aesthetic. Nutritional ‘Way I Live’ appointments are also available to help guide and support our customers to reach their goals. Founded by Brendan Murdock the founder of Murdock London, Brendan has created a natural health+ wellness brand build on the principle that nutritional + emotional balance is the pathway to a fulfilled life. Brendan has spent many years in the world of scent and felt that the aromatherapy as we know it today could and should be elevated. He has applied the same attention to detail in creating couture scents where with his team he has created and developed anatomē ‘elixirs’ using the finest and most extraordinary botanical extracts and natural plant extracts to support our emotional and physical wellbeing. Complementing this collection he has worked with leading nutritionists to develop an collection of premium health and nutrition products that combine science and natural ingredients, with a modern stylish aesthetic.